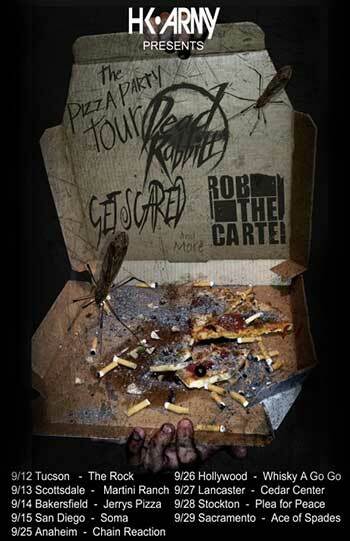 Dead Rabbitts, Rob The Cartel, Get Scared, HK Army Pizza Party Tour. Rob the Cartel ~ "Wide Awake"
Dead Rabbitts with Rob The Cartel, and Get Scared on the HK Army Pizza Party Tour. The tour was in support Get Scared’s upcoming release “Build To Blame, Laced With Shame.” out August 28th on Grey Area Records. The Dead Rabbitts are an American metalcore supergroup from Phoenix, Arizona. The band is a side project of Escape the Fate's lead vocalist, Craig Mabbitt and rhythm guitarist TJ Bell.